A successful SEO strategy is essential for maximizing the e-store’s profitability, as it helps the website to get to the top of Google and other search engines. There are different tricks of boosting ecommerce sites’ SEO, and product reviews count among the most popular practices. Improving the site’s rankings in SERPs by delivery of fresh and unique user-generated content. Search engine spiders like when websites update their content regularly and products reviews are a great way of doing this. 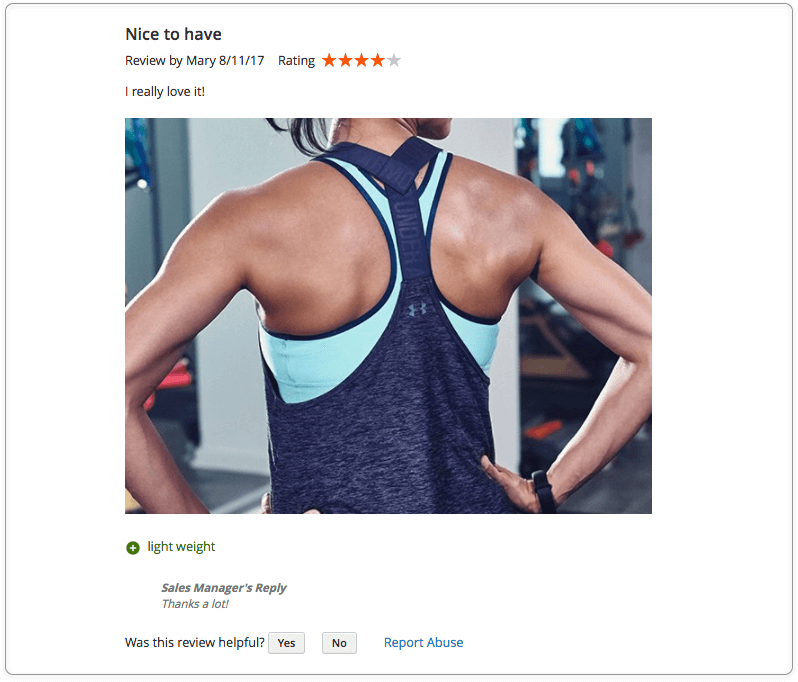 While stores that keep on including just standard product descriptions on product pages often have low rankings, e-retailers with unique customer reviews have a good chance to be shown first in search results. Boosting long-tail keyword traffic. Consumers who leave reviews on product pages and other online shoppers speak the same language. So they are likely to use the keywords (including long-tail ones) that will drive new traffic to the web store, with no keyword search required from store’s owners. Improving product pages’ SEO. The user-created content is beneficial for product pages to the same extent as it is for the whole website. This strategy also works well when consumers search for specific products’ reviews. 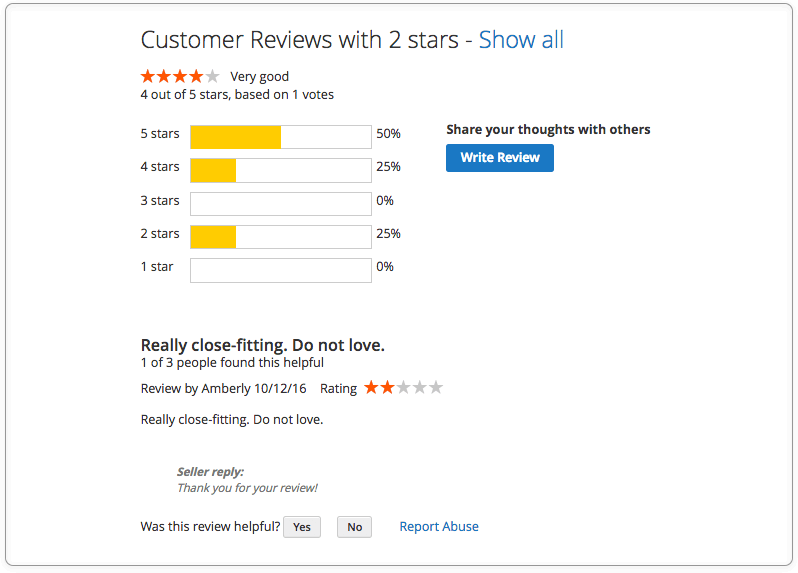 Star ratings are one more reason to use customer reviews. Some retailers show them next to the product page link in search engine results, as high ratings can entice shoppers to click the link in a few seconds. Product reviews can also help web stores earn consumers’ trust. In the today’s connected world, consumers strongly rely on reviews of digital shoppers. A majority of consumers recognize that they trust online reviews to the same degree as they trust personal recommendations. The word of mouth marketing is effective with different age groups: a recent study shows that Millennials trust such content 50% more than other media. 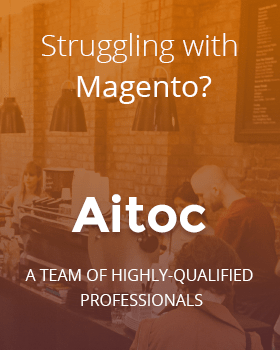 To make Magento merchants’ life easier, Aitoc developed the Magento 2 Product Reviews & Ratings extension that can help Magento stores encourage their customers to write reviews. This module brings the process of getting Magento product reviews to a whole new level. Let’s see how the extension works in detail. The Magento 2 product reviews extension customizes the look of the default Magento 2 Review section. For instance, the star rating, its verbal interpretation, the ‘Write Review’ button and a bar chart showing the amount of votes for each rating option appear at the top of the section. The customized form has two new optional fields where customers can specify what they like and dislike about the product. Magento admins can also enable/disable uploading images along with reviews. Product reviews votes are another great feature of this extension. By voting, customers decide whether the specific review is helpful. The most helpful reviews are shown first in the section. The ‘Report Abuse’ option is also available. 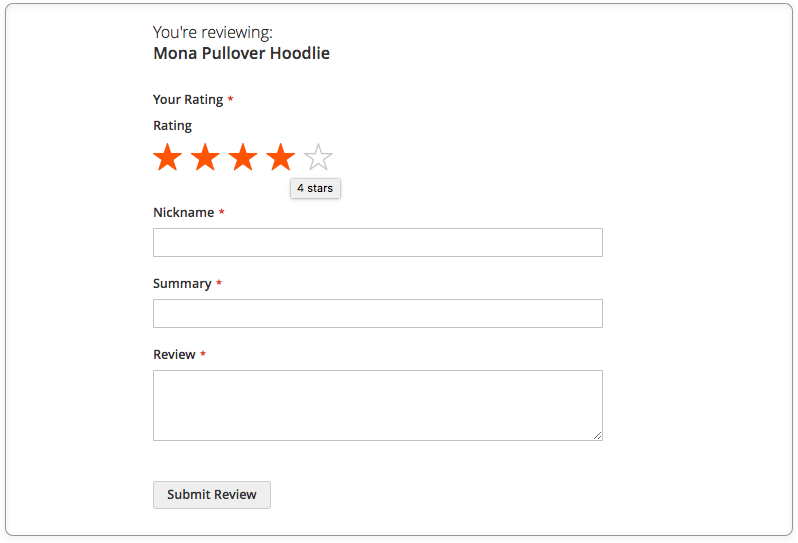 The module allows shoppers to filter reviews by their rating. To take advantage of this functionality, shoppers click the relevant bar on the bar chart. As both registered customers and guests can post reviews, the extension marks registered users. So shoppers can read only reviews of registered users if they trust such users more than anonymous ones. To access General Settings of the Magento 2 product reviews extension, navigate to Store > Configuration > Aitoc extensions > Review Booster. On this page, you can configure automatic email reminders. 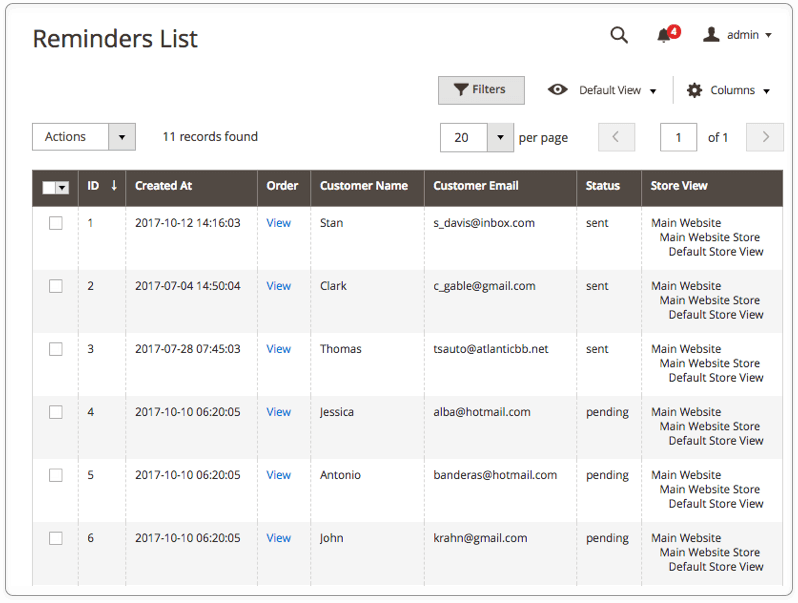 You can select an appropriate Email Sender: e.g., General Contact, Customer Support, etc. In the Email Template field, you can choose the pre-built email template or the one you created by yourself. 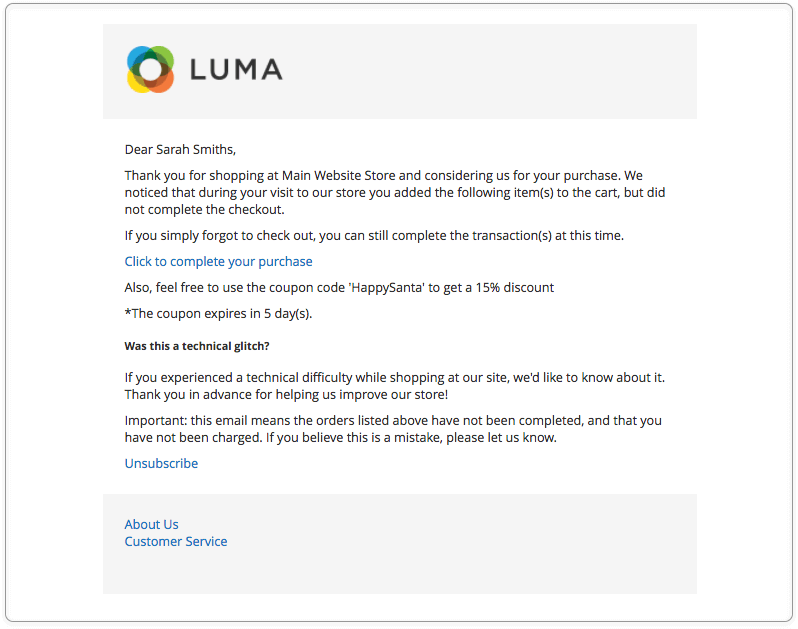 Reminders of Magento product reviews can be sent either automatically or manually. You can also ignore particular customer groups by selecting them in ‘Ignored Customer Groups’ field. Timing matters. We advise they you should discuss with your marketing and sales teams a time span to be set in the settings between the purchase and a review reminder. There are many tactics that you can put to use to encourage reviews. Product Reviews & Ratings also allows admins to add discounts to alerts they send. Access the Discounts Settings section to manage discounts. You can enable/disable discount coupons in Magento product review alerts, specify the discount rate and validity period. Go to the Admin Notifications settings to configure notifications. By setting ‘Enable Notifications’ to ‘Yes’ you allow the module to send you a notification every time a new review is created. In the Review Settings section, you can either enable or disable uploading images together with product reviews. 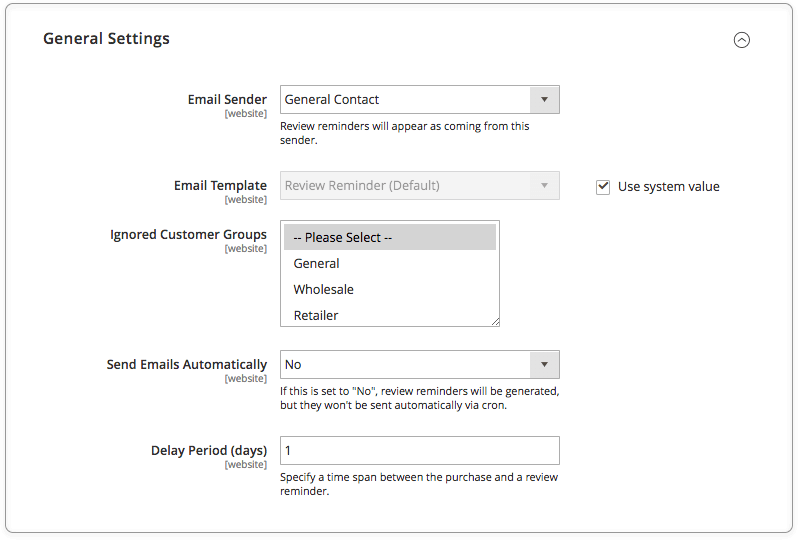 To manage all the existing review reminders, navigate to System > Extensions > Review Booster. Here you can see reminders’ statuses. You can manage reminders by changing their statuses or delete them using the ‘Actions’ dropdown field. Go to Marketing > User Content > Reviews to access the list of all product reviews. Reviews statuses are specified in the ‘Status’ column. Click ‘Edit’ to access the review details. On the Product Review page, you can change the review status. Three options are available: Pending, Approved, and Not Approved. Approved reviews will appear on the product page. You can reply to the review in the ‘Review Comment’ section. You can utilize a custom title for your comment and notify the buyer by email that you’ve added a comment. For already approved reviews, the following statistics can be found on Review page: the number of abuse reports and people who found the review helpful and unhelpful. Featuring product reviews can do an ecommerce store a good turn, as online shoppers tend to trust each other’s recommendations. Reviews can also help a website considerably strengthen its SEO efforts. 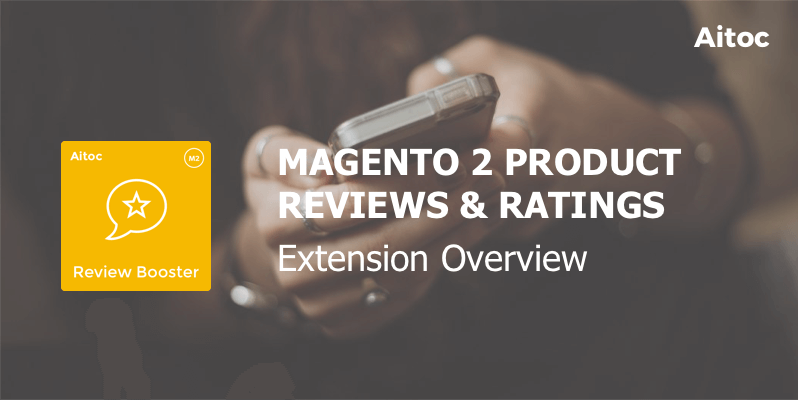 Aitoc’s Magento 2 product reviews extension is a perfect tool for boosting Magento 2 product reviews. 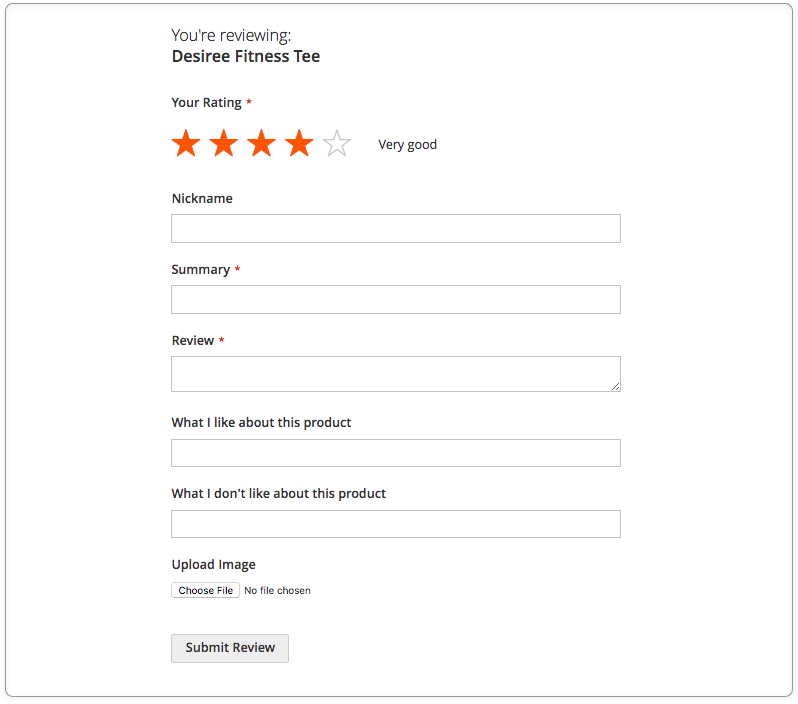 Leverage this extension to encourage reviews by sending buyers after-purchase review reminders with a personal touch. The module also improves the look of the review section on product pages, allows admins to reply to existing reviews, and do other great things.